Selene-Greek Titan Goddess of the moon. Symbol is associated with feminine energy, mystery and psychic abilities. 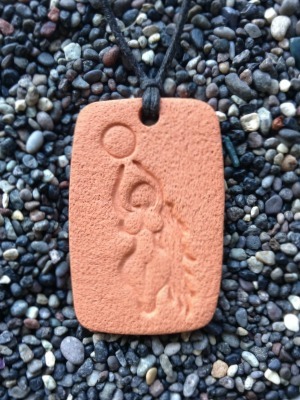 The Moon Goddess Pendant measures 2.7 cm by 4.2 cm (1 1/8 in by 1 7/8 in).